It will be left to the visitors themselves to leave traces of life on the moon’s surface, as abandoned lunar rovers, spacecraft, and experiments begin to collect haphazardly, the detritus of first-phase exploration. The space junk is expected to remain undisturbed for eons. 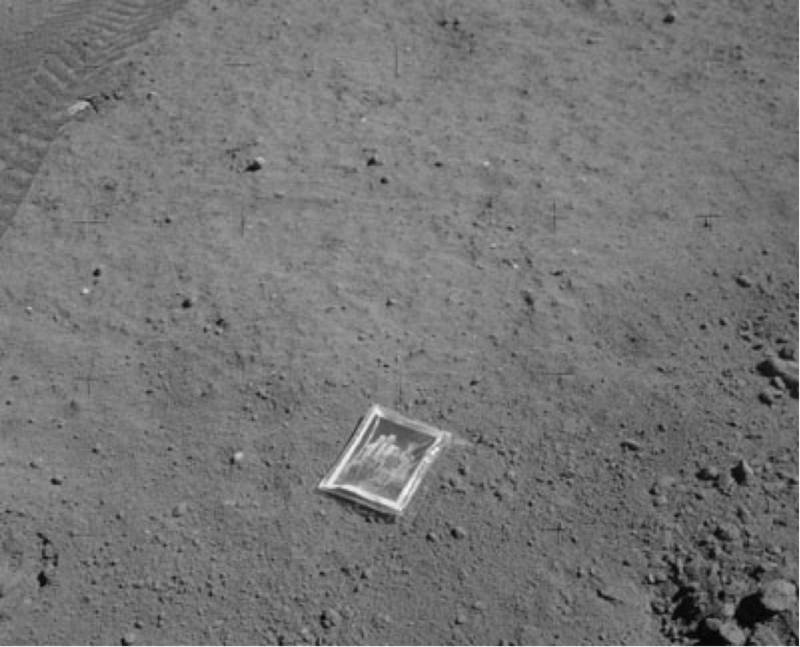 One item will be deposited on the moon’s surface with greater care, though it’s now considered unlikely that any other living species will ever see it. It’s labeled, just in case. THIS IS THE FAMILY OF ASTRONAUT DUKE FROM PLANET EARTH. LANDED ON MOON, APRIL 1972.